Since President Trump signed the $1.3 trillion omnibus spending bill—though it did not include a single provision from his 70-point list of pro-American immigration reforms—he has touted the move as a “start” to a border wall and says “much can be done” with the funding to fulfill his most important campaign promise. Despite Trump’s claims, though, the omnibus purposefully narrows the scope of what the president can do with the $1.6 billion—just 0.12 percent of the spending bill—included in the bill for border security. 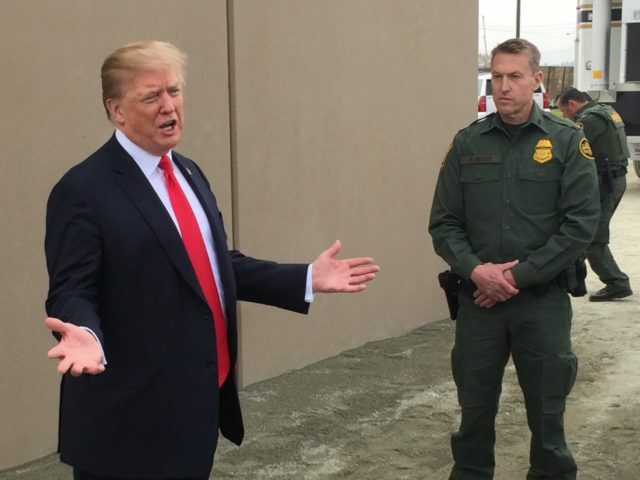 “Not happy with 1.6 billion, but it does start the wall and we’ll make that $1.6 billion go very far,” Trump said last week during a news conference when he announced that he had already signed the omnibus.